王俊文牧師生於馬來西亞，從小在佛教家庭成長。在1989年蒙恩得救，接受耶穌基督為個人的救主，並在1991年蒙神 呼召全時間事奉。 經過4年在新加坡遠東神學院的神學造就，神感動他成為宣教士向大陸的中國人傳福音。至此，他曾先后在不同的地區事奉神。這些地方包括在太平洋的賽班島，臺 灣，新加坡，中國和南韓。2005年神引導王牧師來到美國服事華人教會，同時賜予機會進修神學，並且在2012年獲得神學研究文學碩士。王牧師與師母汪恩慧結婚至今已經19年。師母是在泰國生長，曾與王牧師在同一間神學院接受訓練。 Pastor Amos Wong was born in Malaysia and grew up in a Buddhist family. He accepted Christ in 1989 and called to serve the Lord full-time in 1991. After 4 years of theological training at Singapore Far Eastern Bible College, he was moved by God to become a missionary to reach out to Mainland Chinese. Since then, he had served in the Mariana Islands in the Pacific Ocean, Taiwan, Singapore, China and South Korea. 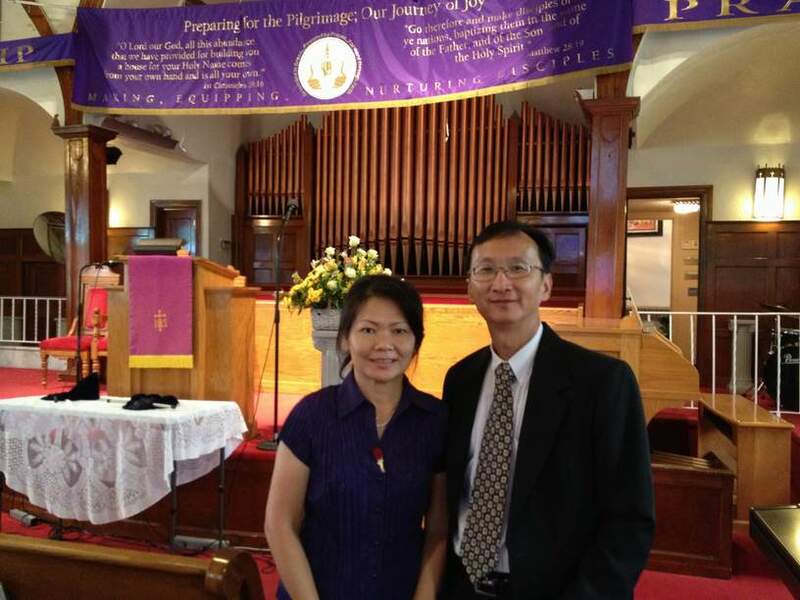 In March 2005, Pastor Wong came to United States and served in the Chinese Church. He was also given a chance to further his study and received MA degree in Theological Study from Liberty Baptist theological Seminary in 2012. 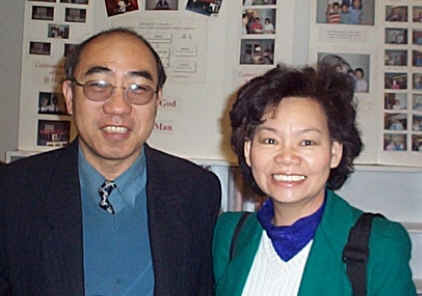 Pastor Wong is married to Srithorn. Mrs. Wong was born and grew up Thailand. She was also trained in the same Bible College with Pastor Wong in Singapore. They have been married for 19 years.